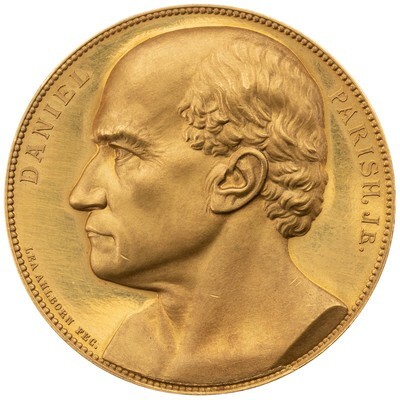 Obverse: DANIEL PARISH, JR. - Bust of Parish, left; signed to left of bust, LEA AHLBORN FEC. 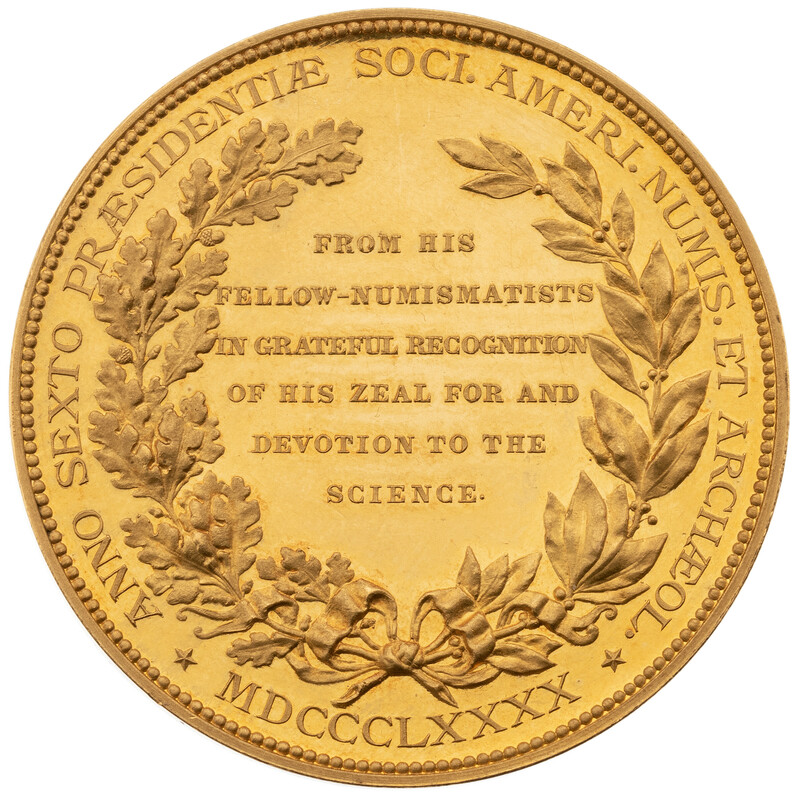 Reverse: FROM HIS / FELLOW-NUMISMATISTS / IN GRATEFUL RECOGNITION / OF HIS ZEAL FOR AND / DEVOTION TO THE / SCIENCE. 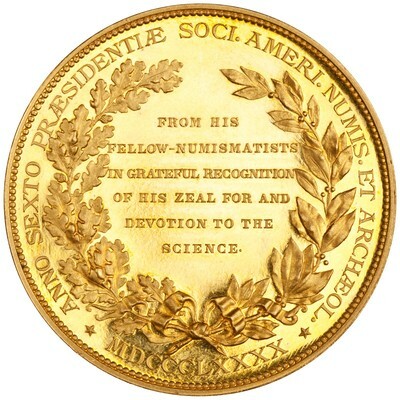 Surrounding the wreath, ANNO SEXTO PRÆSIDENTIÆ SOCI. AMERI. NUMIS. ET ARCHÆOL. 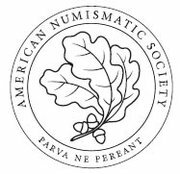 / ★ MDCCCLXXXX ★ - Six-line inscription within wreath of oak (left) and laurel (right).